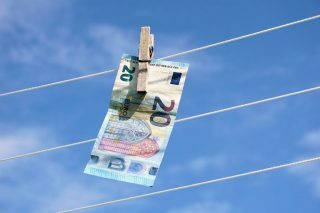 The fourth AML Directive, adopted in May 2015, brought with it intricate regulation of the much-discussed current problem of money laundering and terrorist financing in the territory of the European Union. In comparison with the previous three AML directives, this directive created a new framework of measures and obligations in order to improve the prevention of the legalization of proceeds from criminal activity in each Member State. As these new rules are quite broad, this article will focus mainly on the regulation of new obligations related to beneficial owners and implementation in both the Czech Republic and Slovakia. In comparison with the third AML Directive, the definition of a beneficial owner was regulated by the fourth AML directive in more detail. Thus, under the fourth AML Directive, a beneficial owner is considered, in general, any natural person who ultimately owns or controls a customer and/or the natural person on whose behalf a transaction or activity is being conducted. In the case of corporate entities, a beneficial owner is a natural person who ultimately owns or controls a legal entity through direct or indirect ownership of a sufficient percentage (usually 25%) of the shares or voting rights or ownership interest in that entity, including through bearer shareholdings, or through control via other means, other than a company listed on a regulated market that is subject to disclosure requirements consistent with EU law or subject to equivalent international standards which ensure adequate transparency of ownership information. If no such person is identified, the beneficial owner is the natural person(s) who holds the position of senior managing official(s). With regard to the regulation of the beneficial owner, the fourth AML directive also introduced an obligation to identify the beneficial owner within customer due diligence measures without exception. Therefore, in comparison with previous regulations, the identification of the beneficial owner must be executed every time, equally like the identification of the client. The obligation to adopt adequate measures to verify the identification of the beneficial owner remains unaffected. As the most significant change, the fourth AML Directive obliges Member States to ensure that corporate and legal entities shall obtain and hold adequate, accurate and current information on their beneficial ownership, so obliged subjects can fulfil their identification and other obligations more easily and more efficiently. Also, the Member States shall ensure that the information on the beneficial owners of the corporate and legal entities are held in a central register such as a commercial register or other public register. Considering the above, both the Czech Republic and Slovakia have prepared new legislation in order to implement the fourth AML Directive and prepared also a system for registration of beneficial owners. As both countries implemented the fourth AML directive in quite a different way, below, we describe the new legislation changes in these countries in more detail. The measures which have been introduced in order to implement the fourth AML directive also include the duty of all companies and other registered legal entities to obtain and register data on beneficial ownership, including details of the beneficial interests held, so that these data are timely available to the competent authorities, and kept in the relevant register. The new duty to register data on beneficial owners is introduced with effect from 1 January 2018.
other facts, where the basis of the status of the beneficial owner is different. The competent courts in charge of the Commercial Register will keep records of data on beneficial owners. These records will be electronic and broken down according to registered legal entities and trusts (in separate files). These records will not be available to the public. In addition to registered legal entities and trusts, only the bodies determined by law and persons who discharge powers and competencies vested in them will have access to the records. Legal entities and trusts will be obliged to apply for the registration of the data by 31 December 2018. Subsequently, applications for registration of, a change in, or the deletion of data, will be filed immediately after the relevant fact has arisen. The amendment to the Slovak AML legislation implements the fourth AML directive in full without any exemptions and thus modifies, for example, the system of customer due diligence and introduces a new system of risk assessment as well as national risk assessment. The amendment regulating the AML Act itself is effective from 15 March 2018. Under this amendment, all companies (not only obliged subjects) have to identify their beneficial owner and keep its data in paper or electronic form for the whole term of the position of the beneficial owner and 5 years after termination of such position. Amendment to the Slovak AML Act changes also other acts regulating the registries of legal entities and the conditions for their registration therein. The Amended Act on the Commercial Register is one of those acts and it introduces the obligation of every legal entity registered in the Slovak Commercial Register (except for public administration bodies and issuers of shares admitted to trading on a regulated market) to register the identification data of their beneficial owner in the Slovak Commercial Register. Therefore, contrary to the Czech Republic, Slovakia has not created any specific register of beneficial owners in order to fulfil the obligations required by the fourth AML Directive. The process of the registration of a beneficial owner’s data is not regulated by the Act on the Commercial Register in more detail and no practice is yet known. Therefore, the registration of a beneficial owner’s data should be done in a similar manner as any other corporate change, using a special form regulated by the particular act (which is not yet available). Submission of a motion for registration of a beneficial owner’s data will be for free. data proving the status of the beneficial owner. Similarly as in the Czech Republic, the data of a beneficial owner registered in the Commercial Register will not be publicly available. This new regulation comes into effect on 1 November 2018, while legal entities registered in the Commercial Register until 31 October 2018 will be obliged to submit a motion for registration of a beneficial owner’s data by 31 December 2019 at the latest. In conclusion, the fourth AML directive introduces a new system of obligations to be observed by obliged entities in order to ensure better prevention of money laundering and terrorist financing. Both the Czech Republic and Slovakia have already implemented the fourth AML directive and introduced their own system for the registration of beneficial owners. However, as the system for the registration of beneficial owners is quite new in the Czech Republic, and in Slovakia the system is not yet in effect, we cannot conclude at this stage if these measures have been effective. Therefore, it will be of interest to monitor in the near future if these systems have been effective and have helped to better prevent money laundering in the two countries. Adéla Krbcová is a partner and deputy director at the PETERKA & PARTNERS law office in Czech Republic and specializes in mainly on mergers and acquisitions and corporate law and she is an expert on employment law. Ms. Krbcová can be contacted at krbcova@peterkapartners.cz. Kristýna Ňaňková is a senior associate and deputy director at the PETERKA & PARTNERS law office in Slovakia and focuses on commercial law issues, real estate, labour law, personal data protection, and compliance and regulatory matters. Ms. Ňaňková can be contacted at nankova@peterkapartners.sk.